One of the great things about Florida Keys travel is that you have a lot of options to consider when planning your Florida Keys vacation. Use the information we've provided as your helpful Florida travel guide. We've included a variety of possible routes that will get you to the Florida Keys. We've also included a number of possible transportation modes, from ferry to shuttle to car rental. We've also done a lot of the 'legwork' for you, plus we've worked to find various merchants who have products you'll need, often at substantial discounts. Check out what they've got, and together we'll make your Florida Keys vacation more affordable and fun! The following company is worth investigating. They specialize in discounts and savings on airfare, hotels, car rentals and vacation packages. With your travel plans, you're going to want to start off by checking airfare rates first. Cheap O Air, one of my affiliates, can save you money on your tickets as they're always running deals. So you are aware, as an affiliate with them, if you click a link to one of their products or services and buy it, or another one you like, I stand to earn a small commission. The item does not cost you any more. This is called being an "affiliate." They have cheap airline deals where you can take advantage of different savings so check them out and book now! It's definitely worth seeing what's available for the dates you're planning to travel on. When the page opens, you can play around with the handy widget at the top left of their page. This will give you a chance to try different dates, and see what will work best for you. They're currently offering some pretty good promos and as you know, high travel days can get expensive. If you're planning a Florida Keys vacation, or a vacation anywhere else for that matter, check out Cheap O Air because they have hard to beat, cheap airline rates! In terms of Florida travel, you have a number of options to consider. 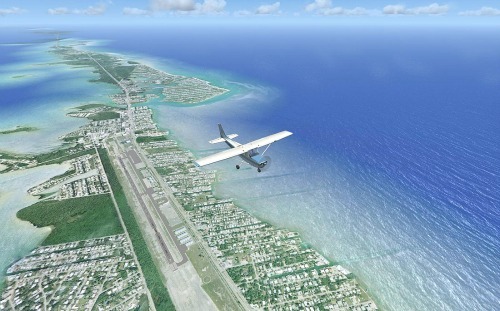 You can opt for a flight directly to the Florida Keys. If you do, you'll be limited to arriving at Key West International Airport (EYW) since the Florida Keys Marathon Airport no longer has commercial service. You'll need to know that with most of the Key West Florida carriers you can only fly into Key West if you've departed from another Florida city, Atlanta or the Bahamas. All other international and domestic flights are routed through Miami International Airport. However, it's good to know that if you do fly into Key West International Airport you can also reserve your Florida car rental in advance through Cheap O Air. Cheap O Air is known for helping you find the cheapest airfares but they can also help you get a discounted price on your car rental. If you're still wondering how to get cheap airline tickets while finding a Florida Keys hotel you like and can afford, check out this TripAdvisor's travel widget. TripAdvisor is another competitive affiliate of mine that is very popular with travelers, and so you're aware, I stand to receive a small booking commission through them. With this flight and hotel widget, TripAdvisor combines the power of shopping for best airline ticket prices while searching for Florida Keys hotels at the same time. Even though I've included the previous car rental options for you, I've gone one step further on our Florida Car rental page. You may be planning a Florida Keys vacation that starts with a visit to Orlando, Tampa or Miami. If so, before purchasing your airline ticket, you'll want to do some coordinating between your arrival and departure destinations. You may also decide that it would be more interesting and time saving to land and depart from two different locations. This usually costs a bit more money, but it can make your Florida vacation plans more effective. Let's say you're landing in Orlando or Tampa, any place other than Miami. Determine the city you'll originally land in, and the city you'll eventually depart from. The departing city would most likely be Miami or Key West Florida. If you book your ticket accordingly, you won't have to drive or fly back to your original landing destination. This will save you money, and give you more time to spend on your Florida Keys travel vacation. Tourists will often opt to visit Tampa, Orlando, and Miami before driving down to the Florida Keys. This means you'll want to get a Florida car rentalso you can easily get down to the Keys and explore the islands once you're there. Depending on where you land, the drive from the Orlando area to Key Largo is under 300 miles. For Florida Keys travel, this equates to a very leisurely 5 - 6 hour drive with perhaps 1 or 2 quick stops. If you're coming from the Tampa area and are going to Key Largo Florida, the drive will be under 340 miles. That equates to a very comfortable, and easy one day drive. The shortest Florida Keys travel route is from Miami to Key Largo. This is a leisurely 70 mile trip. Once you're in Key Largo, the drive to Key West is only about 127 miles. If your Florida Keys travel plans start in a city further north, you may not want to take the time to drive to the Keys. If so, when you're ready to head south, your least expensive option will be a flight to Miami International Airport (MIA). You'll want to get the most out of your Florida Keys travel plans, so direct flights to Miami International Airport followed by getting a Florida car rental makes the most sense. 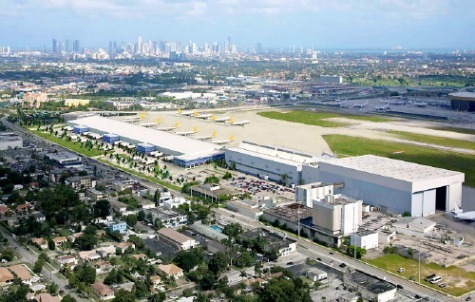 miami-airport.com, Photo by Miami-Dade Aviation Dept. Now you can travel US Highway 1, the slow but beautiful Overseas Highway from Miami to Key West. This drive is a vacation in itself. Just over 127 miles, it takes you from the Upper Keys at Key Largo to the Lower Keys at Key West. This is Florida Keys travel at its best. There will be plenty of opportunity for activities as you make your Florida Keys travel plans. It's also best to make frequent stops. Better yet, consider breaking your trip into several days. Now you can experience Key Largo, Islamorada, Marathon, Key West and all the treasures in between, as you travel across the 42 bridges linking the islands. You'll want to sample key lime pie and fresh, seafood treats along the way. Keep a lookout for the diminutive key deer as you drive from Bahia Honda Key to Sugarloaf Key. Remember to go slow for two important reasons. You want to see the friendly, tiny deer, and you also don't want to hit them. Anyone who's been on a Florida Keys vacation returns home with incredible memories and photos. However, when people reminisce about their Florida Keys travel memories, one thing in particular typically stands out. The water. It's crystal clear, multi-hued, and it's absolutely everywhere. When you cross the 7 Mile Bridge at the outskirts of Marathon Florida you're surrounded by it. The view is absolutely breathtaking and amazing. The water, and the bridges make the perfect combination and is why many great movie scenes have been filmed here. Do you remember the particularly harrowing bridge scene from the movie "True Lies" with Jamie Lee Curtis? Some of the films wildest and even funniest moments were filmed in the Florida Keys and on the historic Old Seven Mile Bridge. When making your Florida Keys travel plans, it's best to arrange for a flight to Key West International Airport (EYW) if you're on a tight time frame. 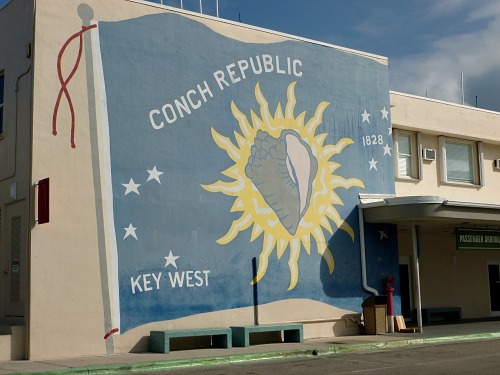 Flights to Key West Florida are relatively easy as the airport is serviced by a number of airline carriers that connect from other Florida locations. It's more expensive to fly direct, but if your Florida Keys travel plans are only for a Key West vacation, then it's your best choice. While making your Florida Keys travel plans, you'll want to stop at Marathon Key which is the mid-point of the islands. It's central to both Key Largo and it's great diving, and Key West with it's party-like atmosphere. The Florida Keys Marathon Airport is primarily used by private, light planes. There are 2 charter airline companies servicing Marathon Florida, but unfortunately there is limited flexibility. SeaCoast only departs from St. Petersburg International Airport, and AirStar Executive Airways is an on demand only charter company. The Greyhound Keys Shuttle is an economical option to consider for your Florida Keys travel. This departs from the Miami International Airport to all areas of the Keys. Once you've reached your destination in the Florida Keys, you can select whatever form of transportation you prefer. Most points of interest and activities are easily reached by walking. You can also rent bicycles, scooters, or take a taxi if your planned activity is further out. If you're considering the Greyhound Keys Shuttle as part of your Florida Keys travel plans, you'll need to contact them in advance. They don't sell bus tickets at Miami International Airport, as it's a limited service bus stop only. You'll need to get your tickets in advance, before you arrive at MIA. 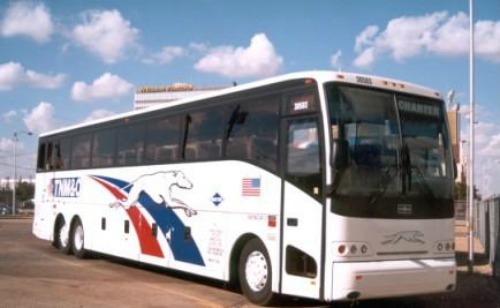 Service is very good through Greyhound as they service the complete Florida Keys. You may find this to be a very economical Florida Keys travel option worthy of consideration. The Keys Shuttle is more convenient then the Greyhound Keys Shuttle, but it's more expensive. They also require 24 hour notice for pick-up. It picks you up at your door and takes you to the airport, or takes you from the airport directly to your door. They service the Miami International Airport and the Ft. Lauderdale airport. Your Florida Keys travel plans will also involve some preparation before arriving. One thing you'll need to get is a detailed map of the Florida Keys and it's helpful to also get one for the State of Florida. The maps will show you more of the area features and attractions and will be especially beneficial to you while planning your holiday. Maps are an important part of your Florida travel planning, and are one of the best and most affordable tools you can have. Also, watching videos or DVD's of the area's physical makeup and the various Florida Keys activities and attractions can help you visualize even more what to expect on your Florida Keys vacation. Click on any of the image links below. You'll be able to browse through Amazon.com to get more information on these and other products that will make your Florida travel planning even easier! However, no matter how you get here, once you arrive you'll realize that Florida travel opportunities are practically limitless. With thousands of miles of fresh and saltwater coastline, incredible beaches and hundreds of local, state and national parks - about the only thing you won't find are ski resorts and places to mountain climb. Known as the Sunshine State it's very affordable and family friendly. Of course nothing screams vacation more than a spectacular photography opportunities. If you're looking to upgrade your camera or underwater camera, you may want to check out the following selections through Amazon. As an Amazon Associate I earn from qualifying purchases. You'll also want to bring an underwater camera because the photography is as good below the water as it is above, on land. In fact, what's in the sea may be even more spectacular! Unlike so many other vacation destinations, Florida Keys travel is easy. Use this website as your Florida Keys travel guide, and you'll soon discover that the planning and the getting here is also a big part of the fun!